Ensure Your Fire Protection Services Are Always Up-To-Date and Ready for Emergency Response. 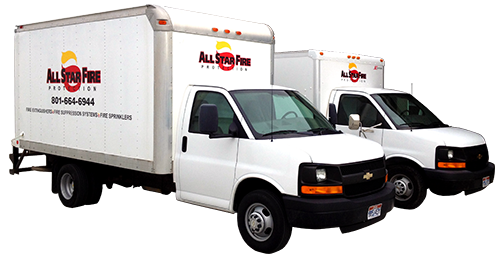 For over 31 years, AllStar Fire Protection and Extinguishers has been keeping commercial and industrial properties in Salt Lake City, UT, and the surrounding areas protected from fire hazards. We provide fire protection services at affordable prices to ensure your safety and satisfaction. Why Choose AllStar for Fire Protection Systems? AllStar Fire Protection and Extinguishers offers a full range of fire prevention and fire suppression systems in Salt Lake City, UT. Our more than 31 years serving this community has given us keen insight into the many potential scenarios for fire hazards, which is why we offer everything from inspections to alarm systems, to maintenance plans. It’s vitally important to draw up and maintain a detailed fire prevention and suppression plan that will cover every contingency. Every commercial or industrial property faces different potential hazards, so we offer a wide variety of different fire control systems in Salt Lake City, UT. We are certified, state licensed and fully insured. We serve all industrial clientele, from schools to restaurants to airports. We’ve been proudly serving Salt Lake City and the surrounding areas, from Logan to Provo to Evanston, for more than 31 years.